Washington at Atlanta – This game is meaningless playoffs wise, but it does have draft order significance, although the Redskins won’t have their first round pick anyway. Kirk Cousins is taking over at quarterback, so it’ll be interesting to see if he moves the ball any better than Robert Griffin III did. Of course, Cousins will have little affect on Washington’s defense, which will have to stop an Atlanta offense that is capable of scoring points against a weak defense. Chicago at Cleveland – The Browns let one slip away last week, but they’ll have another chance to play spoiler this week, as the Bears can’t afford to lose another game the rest of the season. Chicago was lightning in a bottle offensively Monday night, but that won’t be so easy against a tough Cleveland defense. Despite winning one game in the past two months, the Browns have a solid defense, and with Jason Campbell at quarterback, Cleveland’s offense is capable of scoring points against a questionable Chicago defense, which means a win is far from a certainty for the Bears, whose defense needs to play with a sense of urgency on the road in order to win. Houston at Indianapolis – The Colts have already locked up the division, but they need to start playing better down the stretch or their postseason will be brief and disappointing, and this is a game the Colts should be able to win in order to get back on track. As for the Texans, they are still riding an 11-game losing streak, but they’ve lost plenty of close games during that stretch and looked better with Matt Schaub back at quarterback last week, so this is a game they can steal if Indianapolis continues to struggle and doesn’t play a complete game. New England at Miami – The Patriots are lucky to have won the last two weeks, and they won’t have much margin for error this week down in Miami against a team that needs to win to stay in the playoff hunt. Despite some deficiencies, the Dolphins are playing good football and always put themselves in position to win in the 4th quarter; Ryan Tannehill and company need to make sure they’re the ones making the game-winning plays late, especially against a team that has a history of making key plays when it matters the most. Miami is tied with Baltimore for the last playoff spot, but the Ravens own the tiebreaker between the two teams, so there is no margin for error down the stretch for the Dolphins, as they have to finish ahead of Baltimore to make the postseason, and that’ll be tough to do if they lose this game. Philadelphia at Minnesota – The Eagles are really rolling right now, and their offense should be tough to stop inside a dome, where there’s no chance of the weather becoming a factor. The Vikings are a little better than their record indicates, and they’ll put up a fight against a contending team, but if Adrian Peterson doesn’t play, or isn’t 100%, it’ll be difficult to keep up with Philadelphia’s offense. Seattle at New York Giants – The Giants put up a fight after starting the season 0-6, but after their performance last week in San Diego it looks like their season is over. Meanwhile, the Seahawks are comfortably in first place, but they won’t be happy about last week’s loss, which means they’ll be motivated to play on the road, whereas the Giants may have resigned themselves to just playing out the season. San Francisco at Tampa Bay – The 49ers made a statement by beating Seattle last week, but their playoff spot is not yet secure, so they need to bring that same intensity with them to Tampa Bay. We know the Bucs are going to play hard, and they’re just good enough to take advantage of teams that aren’t at the top of their game, especially on defense. The San Francisco offense needs to do a better job of finishing drives in the end zone than they did last week, because if they don’t the Bucs will hang around and have a chance to pull off the upset. Buffalo at Jacksonville – Nothing much to see here, although the recent resurgence by Jacksonville is a pleasant surprise for a team that some had pegged as a one or two win team this season. The Bills embarrassed themselves last week in Tampa, and they need to avoid repeating that this week and at least play with some pride. Kansas City at Oakland – There’s nothing like a good old-fashioned AFC West rivalry. The Raiders are out of contention, but they’re going to play hard and look to knock off the Chiefs on their way to the postseason. If the Oakland offense can get it going like they have the past couple of weeks, this game could get interesting, although the Chiefs can lock in a postseason birth with a win, so they won’t be taking the Raiders lightly, while also hoping that their recent offensive surge will continue. New York Jets at Carolina – The Panthers had a rough time last Sunday night and they need to respond well this week or speculation will start to grow that they peaked too early. Of course, the Jets may be the best team for them to play right now. New York had a nice game offensively last week against Oakland, but that’ll be tough to repeat against Carolina’s defense. As long as the Panther’s defense gets back on track, winning shouldn’t be an issue and they can go back to setting their sights on the postseason. Green Bay at Dallas – It doesn’t look like Aaron Rodgers will play in this one, but that doesn’t mean the Packers won’t be able to score against the Dallas defense, which was atrocious Monday night and now has a short week to prepare for the Packers. If Green Bay can establish their running game early, it could soften up the Cowboy’s back-seven and create some space in the secondary for Matt Flynn to get the ball downfield. If the Packers are anywhere close to as efficient on offense against Dallas as the Bears were Monday night, once again all the pressure will be on Tony Romo and the offense, which is not where Dallas wants to be. The Cowboys can score on offense, but it won’t matter unless their defense can get some stops. Arizona at Tennessee – This could be a tricky game for the Cardinals, but with Seattle and San Francisco on the schedule the final two weeks, it’s a game they need to win. Arizona has built up a lot of momentum over the past month and a half, and they need to keep that going into the final three weeks. In this game, the Cardinals need to start fast and take an early lead. The Titans would like to win and play spoiler, but if Arizona gets up early, it’ll be easier to take care of business against a team that’s just 2-4 at home this season. 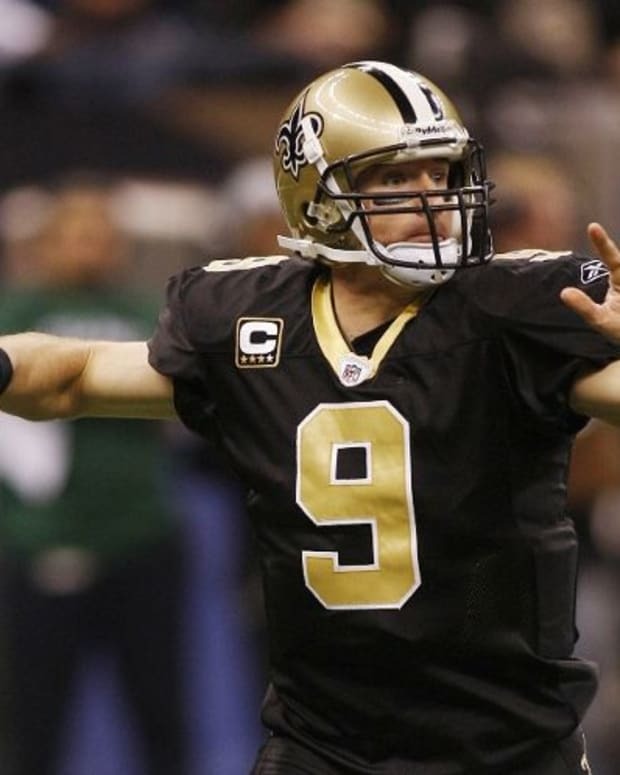 New Orleans at St. Louis – The Saints were quite impressive last week at home against the Panthers, but now it’s time to show everybody that they can just as impressive on the road. The Rams haven’t looked all that threatening the past couple of weeks, but they’re capable of pulling of a surprise, so the Saints need to make sure they’re crisp and efficient on offense by controlling the St. Louis pass rush, which could pose some problems for the Saints. For now, New Orleans has a strong hold on the NFC South, but a loss in St. Louis could cause some problems for them heading into their road trip to Carolina next week. Cincinnati at Pittsburgh – A couple of close losses the past two weeks have all but ended Pittsburgh’s postseason hopes, but they’ve playing much better than they were early in the season, and they’ll have a chance to knock off the Bengals at home Sunday night. The Steelers are going to have to clamp down defensively and force Andy Dalton into making bad decisions and bad throws because playing from behind against the Cincinnati defense will be a difficult task for them. If the game stays low scoring, the Steelers will have a good chance of winning, but if Dalton plays mistake free football the Bengals should score plenty of points, making it hard for the Steelers to keep up.